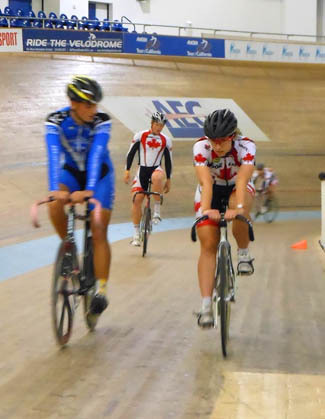 Adrian George, a Junior track rider from Hamilton, Ontario, who rides with the Forest City Velodrome program, recently spent some time in Los Angeles with the Canadian team. George was there to be a sprint partner with Monique Sullivan as she prepares for the start of the World Cup season. George provided the following comments on his chance to ride with Team Canada. I have recently been lucky enough to have been given the opportunity of being invited down to LA, to train with the Canadian national track cycling team. The overall experience was amazing, from the velodrome itself, to the actual riding and riders. I took away many new skills from this camp, but most of all I took away a family. There really is a great group of guys and girls who look out for you down there, and as much fun as I had, definitely the hardest part will be leaving these great friends. I can’t thank them enough for everything that they have taught me and all the things I have learned. A special thanks goes out to Rob Good and Forest City for helping me get down to LA. I couldn’t have done it without their help. 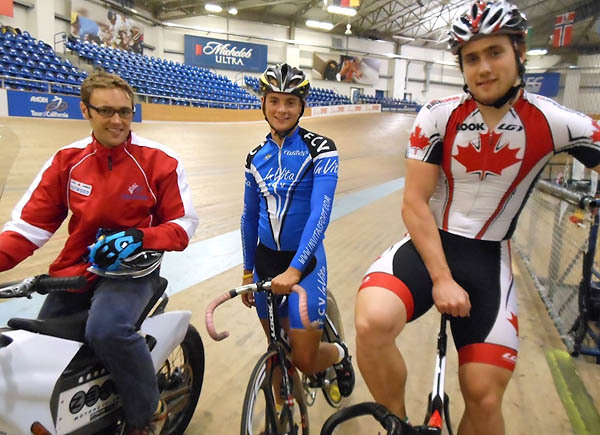 The Forest City Velodrome is holding a Cadet/Junior Development Camp this weekend, with 25 riders registered. For more information, visit http://www.forestcityvelodrome.ca.